Today was our Children’s Pageant. The pageant this year was built around the hymn “From Heaven Above to Earth I Come”. That is LSB 358 is you would like to see all 15 verse by Luther. The recording here is my homily introducing the kids followed by the children’s songs and sayings. The photos are parson’s wife’s as I didn’t get a chance this year (thank you!). They did an outstanding job. Lend and ear and a voice if you would like to sing along. 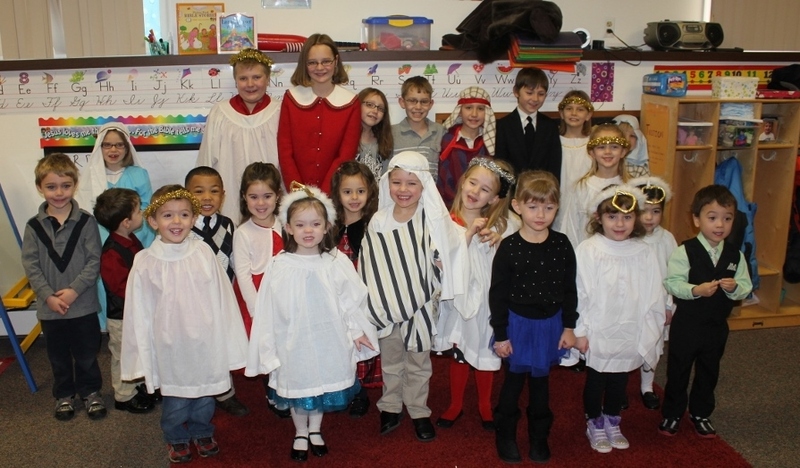 That is the picture of the cast for our Christmas Pageant. We give the kids the full service on this day. So, the recording is not our typical sermon but our best recording of the play. The kids acted out and explain to us the Hymn Hark the Herald Angels Sing.